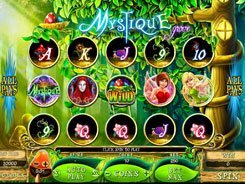 This is a Microgaming-developed fairytale-themed slot with 5 reels and 5 paylines. 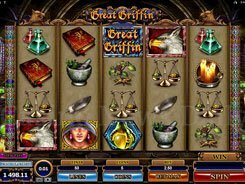 The symbols are based on the Arabian Nights stories; these include a magic lamp, a flying carpet, an Oriental palace, a huge gem and the genie himself. The themed icons are accompanied by 10, J, Q and K designed to fit the theme. 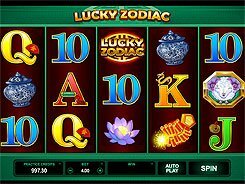 A coin value is configured from $0.25 to $5, with a single coin allowed per line, which translates into a betting range of $0.25 to $25 per spin. 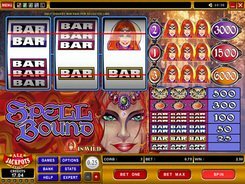 A handy feature about this slot is a “both ways pay” system meaning that all wins pay in both directions (from left to right AND from right to left), which ups your winning chances. 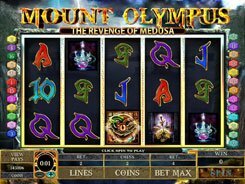 The slot has no wilds, scatters or free spins, yet its regular payouts do make a statement. 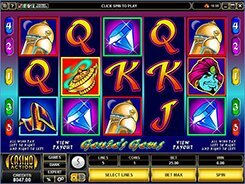 The second-largest prize of 5000 coins is awarded for the Gem symbol if five of them land on a payline. 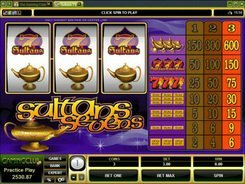 The biggest payer is the Genie who awards a fantastic 10,000-coin prize, so high bettors may scoop a substantial $50,000 in one lucky spin.